You’re more likely to complete NAVY SEAL training, survive a plane crash, win the lottery and do a slew of other ridiculously uncommon things than you are to click a banner ad. To be specific, the average banner ad click through rate (CTR) is a measly .1%. According to a LinkedIn Marketing Solutions study, 70% of individuals want to learn about products through content rather than through traditional advertising. We’re in the middle of an eyeball war for dominance in the attention share of Internet browsers, and banner ads are definitely losing to something known as native advertising and sponsored content or paid posts. What’s native advertising and sponsored content? Native advertising becomes an interesting option once you’ve secured some funding and are ready to kick your marketing into high gear. According to the IAB, native advertising contains six different types of ad units: in-feed, promoted listings, in-ad with native element, paid search, recommendation widgets and custom. Sponsored content is a subset of the in-feed sub-group because it appears within the feed of the publisher. This is the type of native ads we’ll be discussing in this post. Basically, paid posts look like any other piece of content online; the difference is that brands pay publishers to post it on their site to reach their audience. Spending on native advertising in the U.S. is expected to increase from 9.4 billion in 2018. According to Moz, brands value sponsored content because association with a publication and exposure to its audience can drive awareness, traffic, conversions and leads. When compared to traditional display ads, native ads are significantly more effective. ClickZ reports native ads have a CTR 15-45 times higher than display ads. And according to Yahoo CEO Marissa Mayer, browsers who view native ads are 3.6 times more likely to perform a branded search than viewers of banners. Paid posts work when publishers uphold brands to the same standards as they do its journalists. Eighty-four percent of content publishers believe that native advertising adds value to their audiences because they wouldn’t publish something they thought their readers wouldn’t enjoy. I know this from my experience working with numerous publications, including SitePoint. For instance, at SitePoint, we don’t do sponsored content the lazy way. Editorial has control over what is published. Everything is labeled accurately. And we only publish sponsored content that is of interest (and value) to our readers (on web development and entrepreneurship topics). How does sponsored content compare to editorial content? Earlier this year, NY Times published the results of its study on the effectiveness of its Paid Posts, in which it compared posts produced by advertisers and editorial content from the Times and other publications. Half of the Paid Posts produced by T Brand Studio last year outperformed editorial content. Josh Schwartz, Chartbeat’s data scientist, reinforced Zimbalist’s comment. 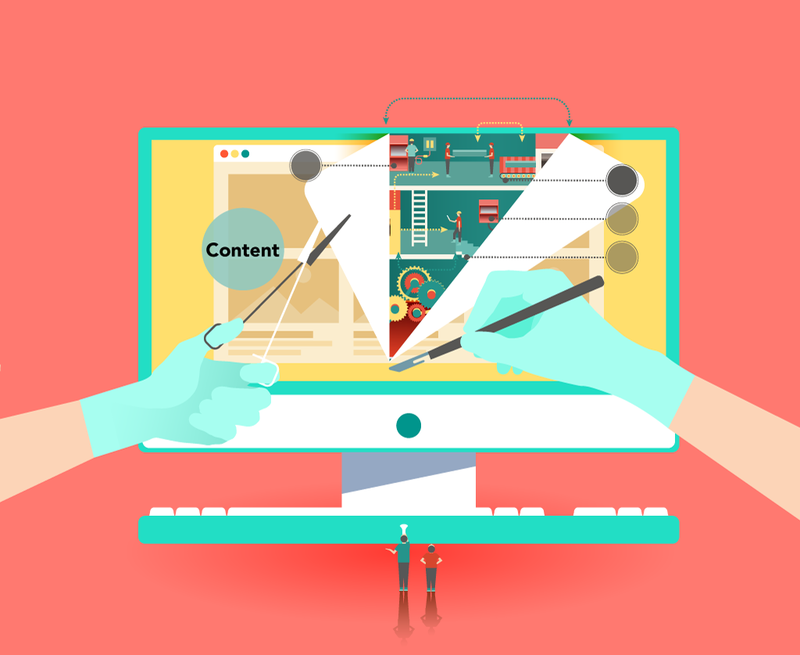 Now that you’re convinced that sponsored content rules and traditional ads drool, we’ll teach you how to write a phenomenal sponsored content piece – one that encourages engagement, drives web traffic and increases conversions for your offering(s). 1: Focus on providing something valuable – something more than your product. What topic does your startup have the power to speak about? Contently Writer Melanie Deziel suggests thinking about the surrounding factors around your product. If there’s one thing not to do, it’s blatantly pitch your product to publications. That just won’t work. To write a phenomenal advertorial, you must think like a journalist with a marketing mindset, and you must put readers before yourself and your offering. Kopywriting Kourse Creator Neville Medhora explains this well. According to Medhora, the way you make a successful advertorial is by making 70% good content (journalist) and mixing it with about 30% promotion of your product (marketing mindset). 3. Target the right people, in the right place. Just because you love TechCrunch, and it’s one of the most popular websites on the Internet, does not mean that your sponsored content piece would flourish if published there. I recommend scouring Alexa as well as Alltop to find the right publishers for you to pitch. Conduct a survey, or analyze your own data. If you don’t have data or resources to create a survey then I recommend finding the latest research findings to make your story more appealing to readers. Whatever you do though, make sure you get your facts straight and link to your sources. Tell a story. Or give readers some epic information about how to do or use something (i.e., your product). If you’re having trouble coming up with how to write something interesting, read this phenomenal post by Buffer’s Kevan Lee. Interviews make stories 1,000 times stronger. Add credibility and testimony to your piece by quoting experts’ opinions along with people affected in the story. Naturally weave in “the sell” wherever it best fits in the story. If it doesn’t fit anywhere, then pick another story angle. Now that you know the 7 elements of a fantastic paid post, let’s take a look at a few examples of the best sponsored content pieces. This is the prime example of amazing sponsored content, sponsored by Netflix to promote its new original “Orange is the New Black” (OITNB), which recently aired its second season. Writer Melanie Deziel investigates a big, yet little-known issue that incarcerated women face nationwide: prisons and their amenities are designed for men. Takeaway: Find a problem that you could shine light on – one that your product or service helps solve – and write about it from a journalistic angle. 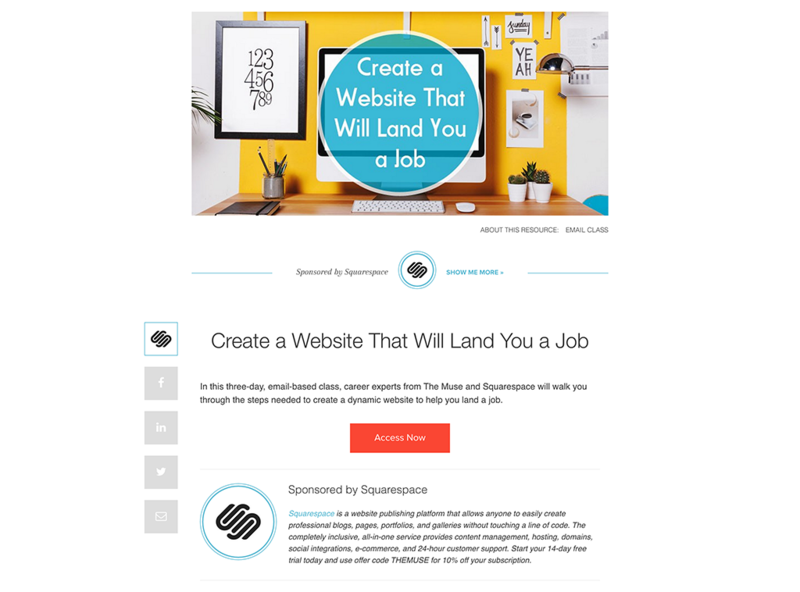 Squarespace sponsored this three-day, email-based course that teaches Muse readers how to create a professional website. This is brilliant because it helps readers do something valuable and then it naturally gets them to sign up for a free account (and probably upgrade) on Squarespace. Takeaway: Find a publication that your audience reads and pitch them on teaching their readers something that relates to your offering. This example shows sponsored content doesn’t have to be a serious matter – when it’s published in the right place. 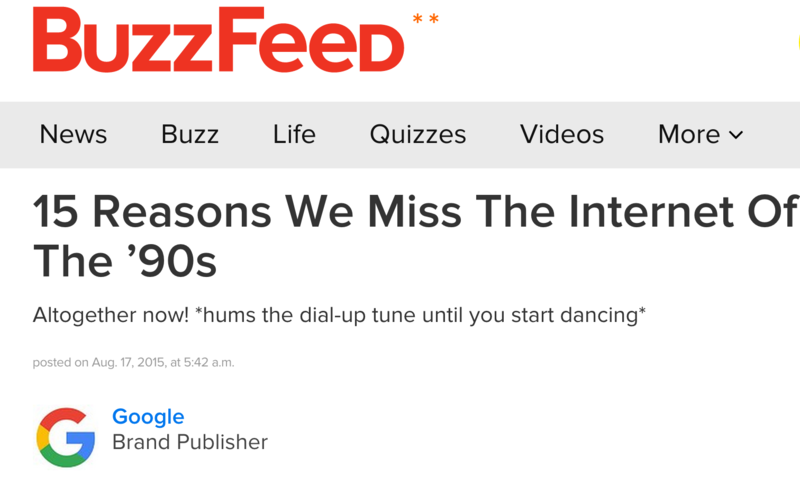 Buzzfeed readers want to scroll fast and laugh, which this piece does perfectly. Also, Google is the perfect brand to write this piece since its the queen of the Internet. Takeaway: Create content that fits the publication, and write about what you’re known for. Example 4: Buzzfeed’s Quiz: How Would You Die In “Game Of Thrones”? Ninety-six percent of people complete Buzzfeed’s sponsored quizzes. People love quizzes, especially when they’re tied together with something as popular as Game of Thrones. Takeaway: Sponsored content doesn’t have to be an article. It can be an interactive and engaging thing, such as a quiz. 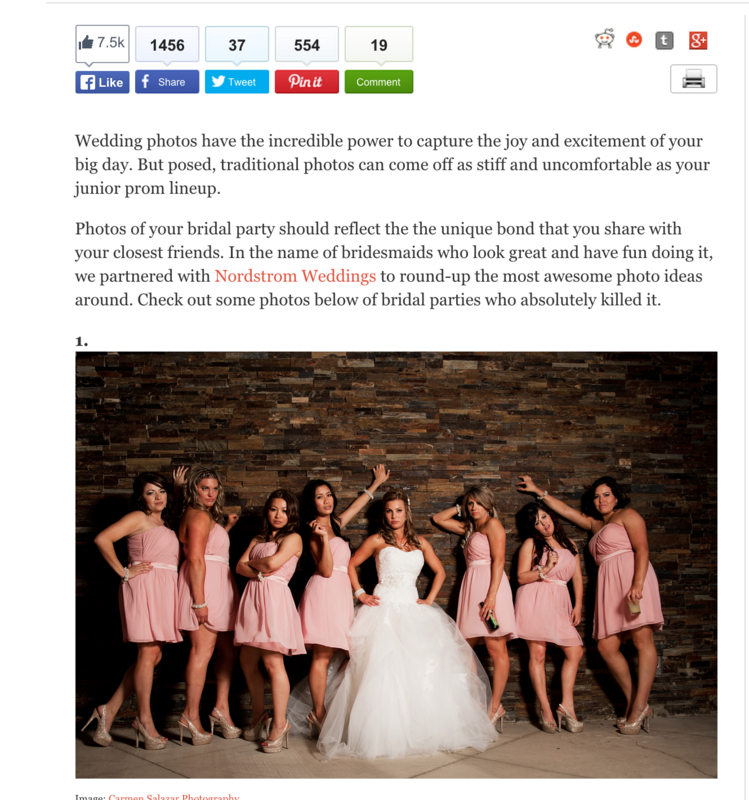 Nordstrom Weddings sponsored this piece in The Huffington Post, and I’m sure all 11 were customers of Nordstrom Weddings. Takeaway: Gather use cases and pitch content surrounding these case studies. Sponsored content doesn’t have to necessarily be an article. It can be anything that’s valuable to publications’ readers. Here’s a few more ideas for you to think about when creating sponsored content. Here’s an idea. Create a survey, and collect responses from your website visitors by installing a Typeform popup, like the one below. This survey elicited 816 responses in 2-3 weeks. Now, I’m hiring someone to analyze the results then I’ll hand over the results to a designer, and this will be transformed into a beautiful infographic, which I may or may not pitch to be sponsored somewhere. Why not sponsor a podcast? Podcasts allow you to connect with a completely different type of audience – typically people who are on-the-go. Here’s an example of a good sponsored podcast. Pretend you’re the founder of CubeRiot, which sells blazers to the modern career woman. Why not sponsor a fashion podcast, in which you discuss the latest fashion trends and how to put looks together. Here’s a list of podcasts, and a Product Hunt search I did for podcasts. There’s a million more ways you can get creative with sponsored content – sponsor a webinar; create templates; make a SlideShare presentation. The sky’s the limit… as long as your content is valuable to publications’ readers and the piece appears in the right place.